This printed churidar suit from the house of Haute Curry can make everything stylish. 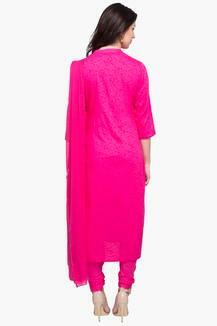 The kurta has a simple resham embroidery work at the front, thus lending it a chic appeal. Further, the mandarin neck and three quarter sleeves add to the overall appeal. Above all, the use of fine quality fabric ensures that you stay comfortable all through the day. 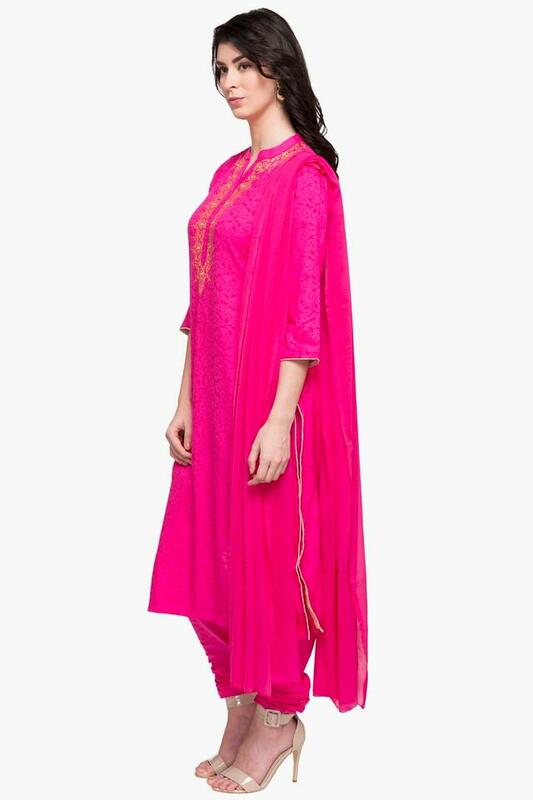 Express your style better by wearing this churidar suit for any casual occasion. The resham embroidery along at the front of the kurta makes it all the more appealing.